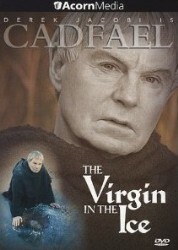 he winter of 1139 will disrupt Brother Cadfael's tranquil life in Shrewsbury with the most disturbing of events. Raging civil war has sent refugees fleeing north from Worcester. Among them are two orphans from a noble family, a boy of thirteen and an eighteen-year-old girl of great beauty, and their companions, a young Benedictine num. But the trio, never reaching Shrewsbury, have disappeared somewhere in the wild countryside. Cadfael feels afraid for these three lost lambs, but another call for help sends him to the church of Saint Mary. A wounded monk, found naked and bleeding at the roadside, will surely die without Cadfael's healing arts. 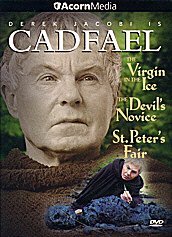 Why this holy man has been attacked and what his fevered ravings reveal soon give Brother Cadfael a clue to the fate of the missing travelers. 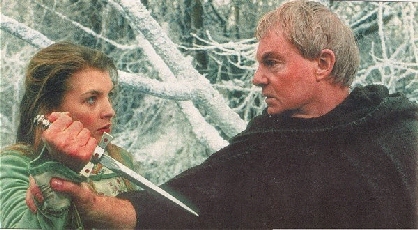 Now Cadfael sets out on a dangerous quest to find them. The road will lead him to a chill and terrible murder and a tale of passion gone awry. And at journey's end awaits a vision of what is best and worst in humankind.